The selection of bongs and pipes at the newest pot store in Bremerton. For most people, smoking pot would not qualify as a homework assignment. 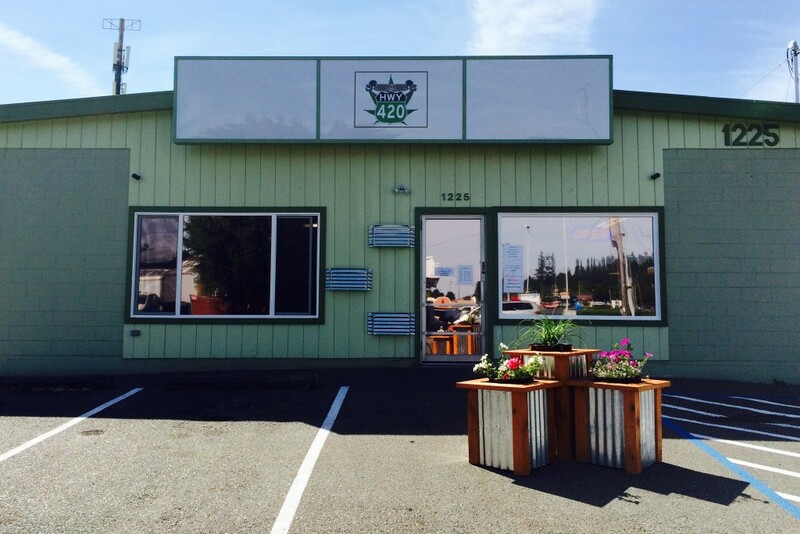 But for staff at Destination Highway 420, Bremerton’s newest recreational marijuana shop, it’s a possible part of a burgeoning quality control program that calls for rating and reviewing different weed strands and types. “We want to make sure we have the best quality product around,” said Michelle Beardsley, the store’s operations director and a welder at the Puget Sound Naval Shipyard. But both say it will be different. Located on Hollis Street, across from the Cloverleaf Sports Bar & Grill, the 4,000 square-foot space was once a warehouse. It was last a thrift store before Beardsley and Rose bought the property. “It had a lot of junk in it, but the building’s in great shape,” Beardsley said. They painted it the building, rebuilt the inside to give it an “industrial” look, stained the floors, and more. And while the Bremerton area is now home to three recreational pot stores, Rose is confident they’ve found a niche on the East side. Their plans do not end at a pot shop, however. By the holidays, they plan to open an “annex” on the site that will sell store merchandise. And come springtime, they hope to open a glass blowing studio that will attract not just those looking to make their own pipes and bongs, but any kind of glassware. The store is open 9 a.m. to 10 p.m. Monday through Thursdays; 9 a.m. to 11 p.m. Friday and Saturday and 9 a.m. to 1 p.m. Sunday.